JEFFERSON CITY, Mo. — The version of the state operating budget passed this week by the Missouri House of Representatives contains vital funding for the Valley Springs Youth Ranch. 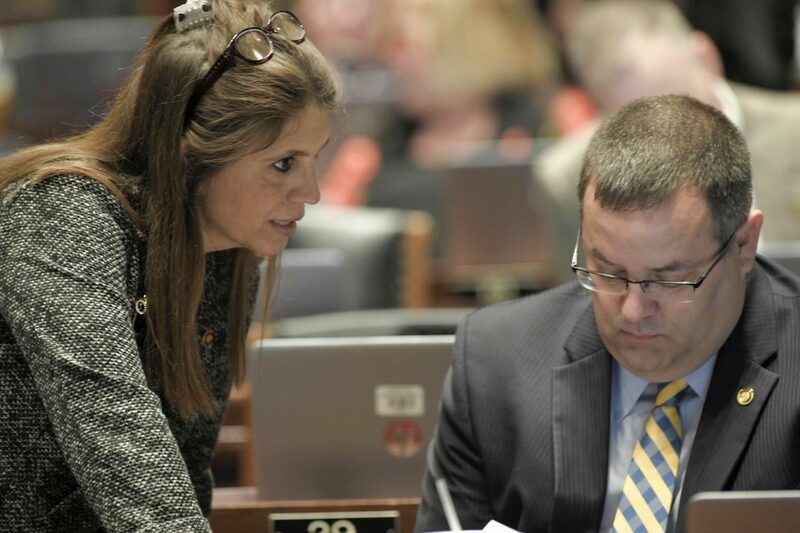 State Rep. Chris Dinkins praised House Budget Chairman Scott Fitzpatrick for working with her to address the funding shortage that threatened the vital services provided by the ranch. “The Valley Springs Youth Ranch plays a vital role in helping young people in need get back on track to graduate from high school and become successful adults. I want to thank Chairman Fitzpatrick for being so willing to work with us on this important issue and to find the funding the ranch needs to continue its great work,” said Dinkins, R-Annapolis. It was Fitzpatrick who worked with Dinkins to add an amendment to the budget to provide an additional $250,000 in funding to the Lesterville Public School District, which operates the ranch. Fitzpatrick noted on the House floor that the district was disproportionately impacted when the legislature cut funding to the Public Placement Fund, which provides funding to programs like the Valley Springs Youth Ranch. Because Lesterville School District has more than 30 percent of its students designated as public placement students, House members approved the amendment to ensure the ranch would continue to receive the funding it needs. Dinkins had recently visited the ranch along with Rep. Jim Neely, who chairs the Special Committee to Improve the Care and Well-Being of Young People. While there they learned how budget cuts to the state’s Public Placement Fund have negatively impacted the facility’s ability to fulfill its mission. The Public Placement Fund was previously funded at a level of $11.1 million but saw that amount reduced to $5 million for the current fiscal year. With the amendment added to the budget on the House floor, the ranch is positioned to receive more of the funding it needs to continue its work. “This is an important step in the right direction and now we must work to ensure the Senate keeps this language in the budget. I will do all I can to fight for these dollars that mean so much for the ranch and the young people it serves,” said Dinkins, R-Annapolis. Dinkins was elected in February to fill the vacated seat of former Representative Paul Fitzwater who was appointed to the Board of Probation and Parole by Governor Greitens.